Fruits are perhaps the healthiest components of your daily diet. Rich in Vitamins, Minerals and Fiber, they are eaten in their natural form, with very little processing. They provide a burst of energy from the fructose in them and also help your body get its nutritional requirements for the day. The fruits when consumed do help your skin glow from within, but they work better when you apply them directly on the skin, from where they can be absorbed better by the skin. Oily skin is something that hassles a lot of women. Many fruits help in controlling oily skin, clear the pores of dirt and grime and root out the cause of oily skin from within by restoring the natural moisture balance of the skin. Applying fruit face packs are an affordable and healthy way of dealing with your skin problems. Rather than spending all those bucks in the salon for a so called “fruit facial” that consists of a bottled product loaded with chemicals and fruit flavor, why not make a fruit face pack fresh at home? We show you some homemade fruit face packs for oily skin that will get rid of your shine and give you glowing skin. If you have an overripe banana that nobody wants to eat, there is no better way to put to use than a banana face pack. Mash a ripe banana and add to it juice from half a lime. The banana helps in soothing the skin and clearing your pores. 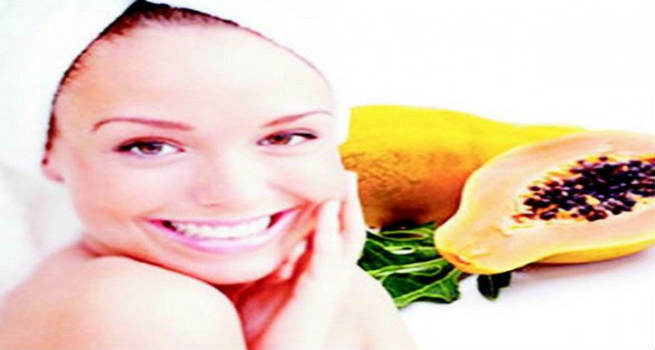 The lemon in the face pack will help control the oil that is produced by the skin. You can also add half a tsp of honey to it for better oil control. Apply this face pack on cleansed skin and leave it on for about fifteen to twenty minutes. Wash it off with lukewarm water and enjoy smooth and shine free skin. Strawberries are in season and aside from your smoothies and desserts, they make for a great face pack for the skin. They are loaded with vitamins and anti-oxidants, helping nourish the skin. Their abrasive texture helps in clearing out the pores. When combined with a few drops of lemon juice, they help in removing the shine and the oil from the face. For the face pack, mash a ripe strawberry and add to it juice from half a lemon. Mix well and apply on cleansed skin. Massage into the skin in circular motions. Wash it off after it dries out. Repeat weekly to also get rid of blackheads and whiteheads. Papaya is a fruit tailor made for oily skin. It helps remove oiliness from the skin, clears out the pores and prevents the occurrence of acne. It is the easiest fruit face pack that you can make since it works its magic all by itself. After your weekly exfoliation, use some mashed papaya and apply it on the skin as a mask. Let it dry completely. Wash it with some warm water to get skin that is soft yet shine free. 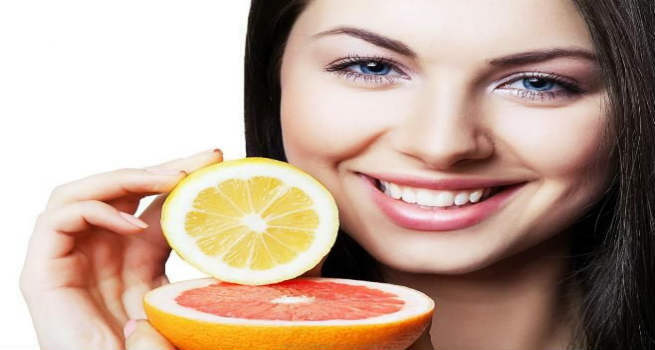 Orange and lemon being citrus fruits and acidic in nature help cut the oil from the face. You can use orange peels to make a face pack by drying them and making a powder out of them. If your skin is too oily, then mix this powder with some lemon juice to make a paste. Else, choose yogurt or rose water. Apply this paste on the skin and allow it to dry out completely before rinsing it off. Watermelon is another fruit that will hydrate the skin without making it too oily. Mash a watermelon slice and add to it some lemon juice and use it as a face pack that will not just make your skin soft but also clear out blemishes. So the next time you think that your skin needs shine control, try a homemade fruit face pack for oily skin and nourish your skin the natural way.